Vijay's Heroine For STR In Venkat Prabhu Film? 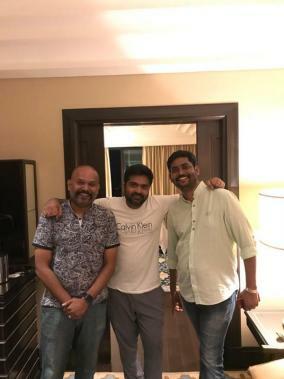 Last week saw a massive announcement in the form of director Venkat Prabhu making it official his next film tentatively titled VP9 will be with the multi-talented Simbu under Suresh Kamatchi’s V House Productions banner. Since the announcement, there has been much chatter on social networking forums regarding the film’s title, which many are speculating as Athiradi. Meanwhile, there are now reports doing the rounds stating actress Keerthy Suresh is the prime contender to play the female lead in Venkat Prabhu’s ninth directorial. Although nothing is set in stone yet and an official statement from the makers of VP9 is awaited, Keerthy Suresh’s inclusion will no doubt be massive, if she indeed gets cast. In the meantime, Keerthy is attached to three upcoming biggies post the success of her Nadigaiyar Thilagam starting with Saamy Square opposite ‘Chiyaan’ Vikram. Then, there’s Sandakozhi 2 alongside Vishal and Varalaxmi Sarathkumar under Lingusamy’s direction. 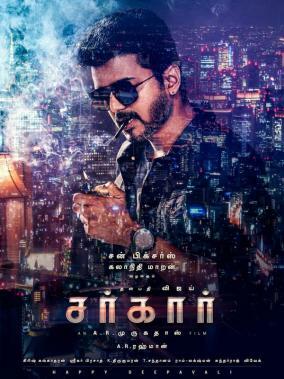 Finally, the action political drama, Sarkar, with ‘Thalapathy’ Vijay in the lead role under A. R. Murugadoss’s direction has fans of Keerthy Suresh the most excited.